The Borgata Casino made the headlines for all the wrong reasons in Jan 2014, when it was reported that one of the poker players had used fake chips in a high profile poker tournament. Christian Lusardi used fake chips while playing in the tournament and then later tried to get rid of them by flushing them down one of the toilets in Harrah’s Resort and Casino in Atlantic City. He was immediately arrested when the discovery was made. 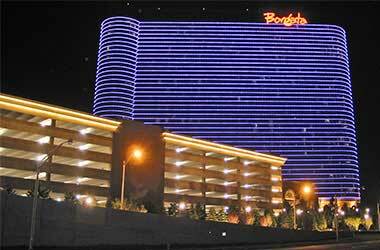 The Borgata was forced to shut down the tournament because of the use of fake chips and then later faced the wrath of players who filed a lawsuit claiming they were cheated as the tournament was not supervised and managed properly. While the lawsuit is being handled by the courts, the Casino was swift to address these issues and put in security measures to ensure that this never happens again. The Borgata has decided to purchase a new set of poker chips that are manufactured using the latest technology. The Borgata has collaborated with the Game On Chip Company to design and manufacture these high level chips. These chips are reported to be extremely high tech and have a lot more colors that are not easy to duplicate. Ultraviolet light can be used to authenticate these high-level poker chips, making it just about impossible to duplicate. The Borgata had to invest a lot of money to design and produce these new poker chips but there was no other option considering what the casino had recently been through. The casino’s senior vice president, Joe Lupo said that the Borgata wanted to lead from the front and hence did not mind investing heavily into the new set of poker chips. The Borgata believes it is one of the premier casinos in the industry and wanted to set a trend of security and integrity while it continues to host some of the biggest poker tournaments in Atlantic City. The state of New Jersey has approved these chips and confirmed that they are “acceptable for use.” The new set of chips comes in a number of denominations starting from 1,000 and going all the way up to 500,000. The Game On Chip Company are specialists when it comes to manufacturing high level chips for casino’s across the world. The company adopts a sophisticated technology that allows it to use intricate UV images on the edge and face of the chips that prevent counterfeiting from occurring.